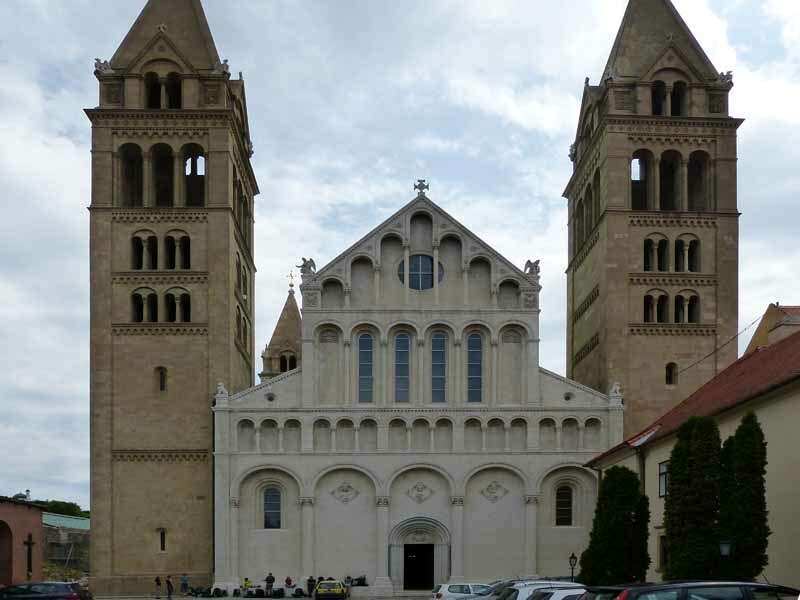 Nagy Imre, Öttorony: A pécsi irodalmi műveltség a kezdetektől a huszadik századig [Five Churches: Literacy in Pécs from the Beginning to the 20th Century], Pécs, Kronosz, 2013. In 2010 Imre Nagy, professor of the University of Pécs, published A magyar Athén: Pécs irodalmi műveltsége 1009-től 1780-ig (The Hungarian Athens: Literacy in Pécs from 1009 to 1780), which contains the first twelve chapters of the book reviewed here. In the following years Nagy continued the work, and completed his study with further twelve chapters. The present book is divided into two main sections. 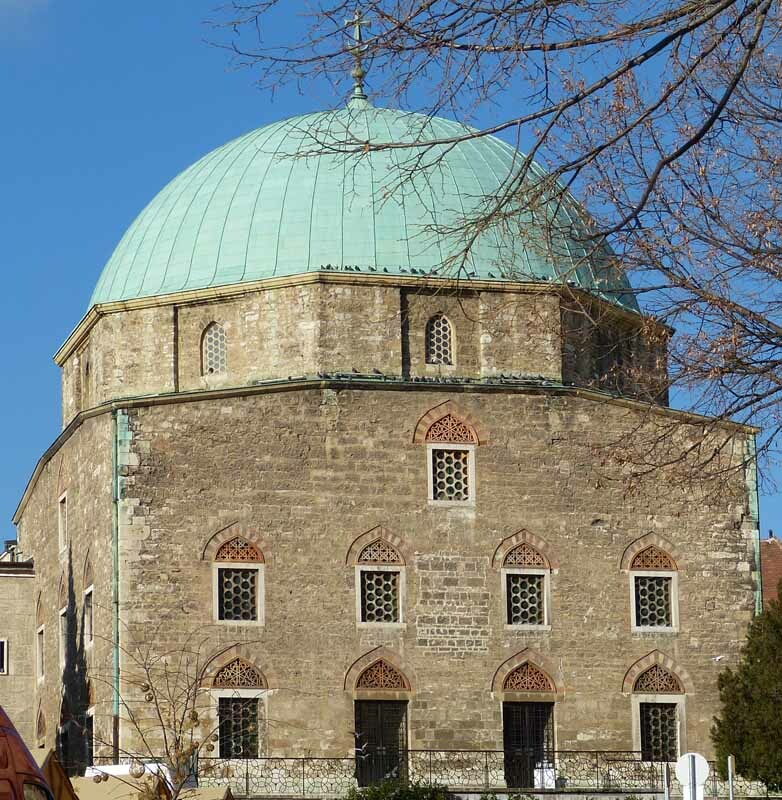 Part I: The Hungarian Athens: Literacy in Pécs from 1009 to 1780, and Part II: The South Bastion: Literacy in Pécs from 1780 to 1923. The main sections are each divided into twelve more chapters. The scope and mastery of institutional history, ranging from school foundations to ecclesiastical policy and educational theories ensure the authority of the book. Chronologically, Imre Nagy’s book covers the period from 1009, the foundation of the bishopric of Pécs by Stephen I of Hungary to 1923, the relocation of the Elisabeth University from Bratislava to Pécs, which created a new intellectual and cultural landscape in the city. It is a large-scale effort to delineate and analyze changes in degrees of literacy throughout centuries, and in some cases up to 1923. Nagy’s book suggests a history of literacy presenting the institutions, the major personalities and works through their connection to the city. In the preface he offers his definition of the literature of Pécs: pieces either written there or connected to the city in other ways (for example from a thematic point of view). Authors of Pécs are defined as those who were born or died there, or spent at least one period of their life living in the city. The lack of local residence is overwritten by cultural and institutional connections, for example in the case of Miklós Telegdi, the bishop of Pécs during the Turkish occupation. Although he had never lived in Pécs, on the title-page of his works he consistently emphasized that he was the bishop of Pécs. Nagy raises the question “What is the city?”, “Literature or literacy?” and “Continuity or interruption?”. In Chapter I entitled “Bishop Mór and the Earliest Legends” Nagy writes about the bishop of Pécs from 1036 until his death at around 1075. The bishop wrote the Legend of Saints Benedict and Andrew Zorard, two hermits who lived in the region of Nyitra (Nitra, Slovakia). 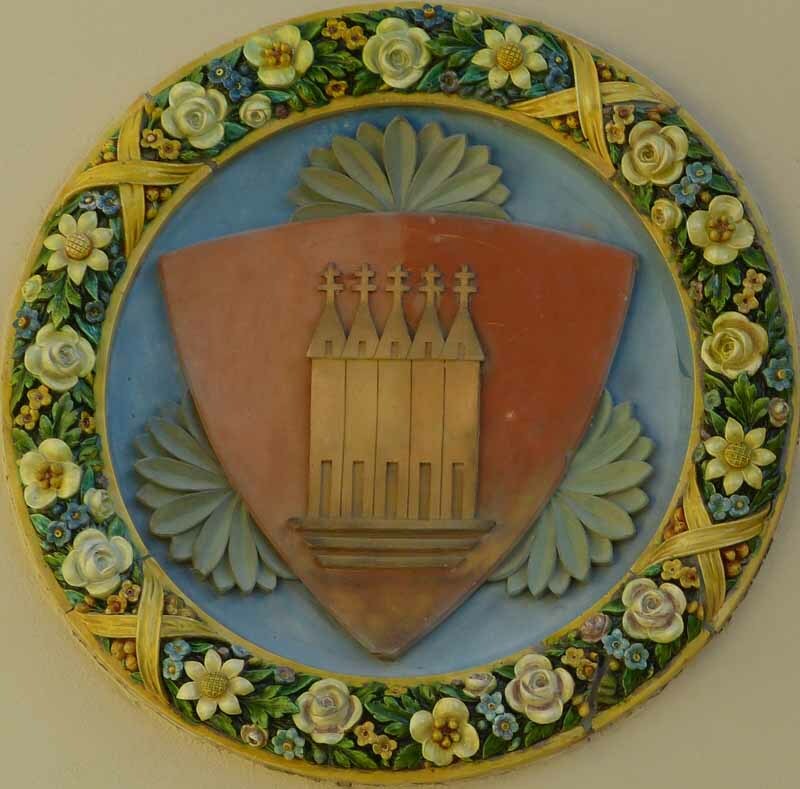 Chapter II focuses on the medieval university of Pécs and the “University Collection of Sermons of Pécs”. Not only did the University of Prague receive students from Pécs, but also the university of Vienna. We know that the first students at the University of Vienna who were born in Pécs were Johannes and Michael de Quinqueecclesiis, who started their studies there in 1377. Between 1377 and 1526 there were a total of 84 students born in Pécs who studied at the University of Vienna (Die Matrikel der Universität Wien. I. Band 1377–1450, Wien, 1956; II. Band 1451–1518, Wien, 1967; III. Band 1518–1579, Wien, 1971. Quellen zur Geschichte der Universität Wien. 1. Abteilung). There were also students who were born in other places, but who in one period of their life had ecclesiastical role in Pécs, for example Simon de Bacia, canon of Pécs between 1430–1448 and archdeacon of Pécs between 1435–1448; Albertus Jacobi de Hangács, canon of Pécs in 1446, and Paulus de Gara, archdeacon of Pécs between 1451–1457 to name just a few. Chapter III and IV presents the personality and work of Janus Pannonius who studied at the University of Padua and who was bishop of Pécs between 1459–1472. Chapter III presents the tradition of Janus Pannonius’s texts (manuscripts and editions), the cult of Janus in Pécs, especially the plays written for the 500th anniversary of his death in 1972. Chapter IV discusses the poems of Janus Pannonius in connection with Pécs, namely the Abiens valere iubet sanctos reges, Waradini (Going Awayfrom Várad), Silva panegyrica ad Guarinum Veronensem praeceptorem suum (Song of Praiseto Guarino of Verona), Epitaphium Barbarae matris suae(Epitaph of his Mother,Barbara) and some others not certain to be linked with the city. The two subsequent chapters analyze two Humanist figures of the era post King Matthias: Chapter V focuses on György Szatmári, bishop of Pécs between 1505–1521 and his circle of Humanists in Pécs. Nagy emphasizes the Italian tendency of the prelate which also appears in the architectural commissions, such as the so called Szathmáry-tabernacle in the Corpus Christi chapel of the basilica, his summer residence in Tettye, and in his affection for books, for example his Breviarium Strigoniense (1510’s) whose miniatures were attributed earlier to Attavante and now to Boccardino il Vecchio. Chapter VI presents István Brodarics and his main work, Historia verissima (True Story), about the battle of Mohács between the Hungarians and the Turks of Sultan Sulejman, written possibly for the commission of King Sigismundus of Poland, uncle of Louis II of Hungary, who died in the battle in 1526. Brodarics studied in Italy, and Szatmári facilitated his career: in 1508 he became secretary of the bishop, and in 1524 provost of Pécs. Nagy integrates the most up-to-date research in the chapters on Humanist literacy in Pécs. He presents the latest results about Janus Pannonius by László Jankovits and about Brodarics by Péter Kasza. The next three chapters accentuate the importance of bishops in the literacy of Pécs during the Turkish occupation. Miklós Oláh was secretary of Szatmári from 1510, and canon of Pécs from 1518. In his work Hungaria, published first in 1735, Oláh describes the geography of Hungary and gives valuable details, among others, on the vintage on the vineyards of Mecsek. In his other famous work, Codex Epistolaris, we find correspondence with Erasmus. Nagy only briefly mentions Antal Verancsics, bishop of Pécs after the death of Oláh. The next bishop, András Dudith, called also the “Hungarian Erasmus” played a central role in the late Humanist Europe. Chapter VIII presents Pál Istvánffy, sub-prefect of Baranya, his son Miklós Istvánffy, who was sent to the University of Padova by Oláh, and Miklós Telegdi, bishop of Pécs from 1579. The author sees the importance of the latter in the fact that he abandoned the Latin literacy of his predecessors, and wrote and published the three volumes of sermons in Hungarian. In Chapter IX Nagy discusses the life and the Muslim culture at the foot of the Mecsek mountains, as it is outlined from the works of Turkish and Hungarian writers. The analysis is based on six Turkish authors who were either born in the city, lived there for a given period, waged war in the surroundings, or passed through Pécs. These authors are Pecsevi Ibrahim, Gázi Giráj, Dzsáfer Ijáni, Evlia Cselebi. 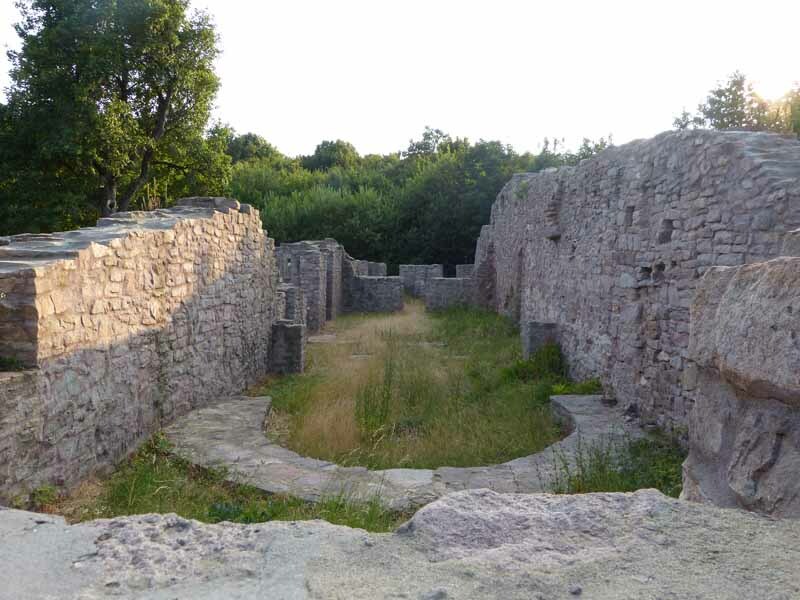 While the great traveller Cselebi considers Pécs to be the paradise, an anonymous Dominican monk mourns the ruins of what was seen as the former Hungarian Athens. Nagy emphasizes the importance of the religious disputes, mostly featuring Protestant Mihály Sztárai and Unitarian György Válaszúti in the “Dispute of Pécs” in 1588. The last three chapters of the first part focus on the period between 1686–1788. After having driven out the Turkish troops, Pécs did not have any civil population. After one hundred and fifty years of foreign rule, Mátyás Radanay was the first bishop residing in Pécs. He tried to reorganize religious life. Nagy states that the 18th century is the age of Jesuits in Pécs who together with the Paulines revitalized the cultural life of the city. The main catalysts of literary, historical and scientific activities are Pál Bertalanffi, György Pray, András Spangár, Lajos Mitterpacher, Ferenc Faludi, Farkas Tóth, Menyhért Táncz, Pál Ányos and Benedek Virág, Máté Simon. 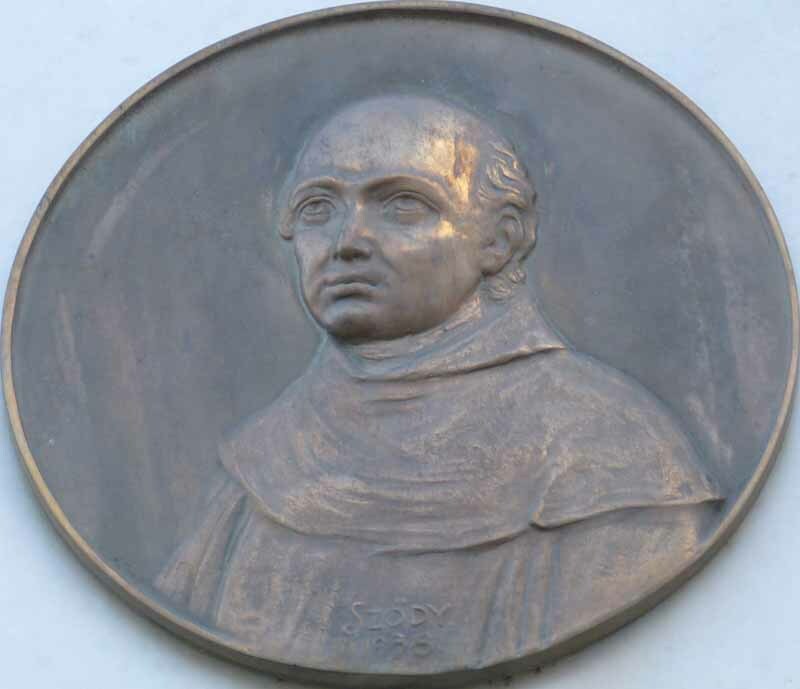 The primary aim of György Klimo, bishop of Pécs between 1751–1777, was the reinforcement of spiritual life, hence why he founded for example the first school for young ladies in the cloister of Franciscan nuns, and opened the Bishopric Library to the general public. The title of the second part of the book “The South Bastion” expresses the situation of the city in the cultural space of Hungary vividly, as Pécs is located towards the Southern border. Nagy explains that this eccentric position became very apparent with the use of Hungarian language in cultural life. Chapter XIII presents the first decades of the free royal city of Pécs through the eyes of foreign and Hungarian travelers such as baron Antoine-Joseph Zorn de Bulach, count Johann Centurius Hofmannsegg, physician Richard Bright, farmer and author Johann Gottfried Elsner, Adolf Grünhold, László Szentjóbi Szabó and Mihály Csokonai Vitéz. Chapter XIV researches literacy from 1772, from the request for the foundation of the Press Engel to the early 1820’s, the “triad of Pécs” as labeled by Mihály Vörösmarty: the three priests (Antal Egyed, László Teslér and Jakab Klivényi) who gave company to the young poet, private tutor of the Perczel family at the time. During this period, the old-fashioned small town of Pécs became, if not a large city, but a center with individual existence and character. The structure of the culture-creating institutions had been established by this time. 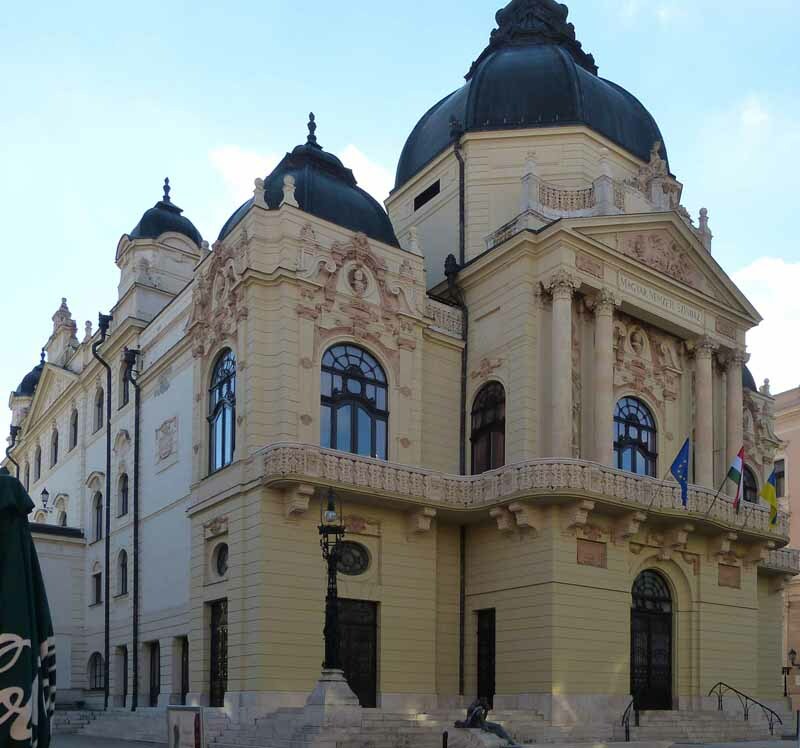 Adapting to the changed status of the city,the bishopric had undertaken civilian functions as well: bishop Ignác Szepesy (1828–1838) had a new building built to the Klimo Library, which functioned as public collection. The main persons of literacy around Szepesy were János Ranolder and Mihály Haas during the Reform Era. In chapters XVI–XVIII, Nagy presents the beginnings of civil literature: the Biedermeier of Pécs. The Academy of Law, the Cistercian secondary school, the convent school and the secondary school with specialization in science provided a degree of compensation for the lack of the university. Outstanding artists of Hungarianliteraturestudiedin these schools: Sándor Koczián, Ilona Karay, and the Lenkei brothers. The author presents the literacy of Pécs of the second half of the 19th century through the central character of Flórián Mátyás, the outstanding scientist. Chapter XIX argues that Pécs was the stepping-stone for many talented writers and scholars at the turn of the 20th century. The examples of Sándor Baksay, Béla Vikár, Kornél Szenteleky and Miroslav Krleža are given as typical: they were born or studied in Pécs and later left the city behind to go to Budapest or elsewhere. In addition to the diocese,the library and schools,the local press was typically organised as a civil institution, for example the activity of media outlets Pécsi Figyelő, Pécsi Napló, Pécsi Független Ujság. The next two chapters give a view of the press of Pécs in the second half of the 19th century and at the turn of the century (Ödön Gerő, Ferenc Várady, Lajos Lenkei, Zoltán Thury, Zoltán Somlyó, Lajos Katona, Lajos Barta), as well as the bilingual (Hungarian and German) 19th-century theater. The last three chapters present four authors who had strong connections with and were influenced by Pécs in one period of their life: Mihály Babits, Miklós Surányi, Lajos Barta and János Kodolányi. Babits studied here for a decade and some of his works, especially his family novel Halálfiai (The Sons of Death, published first in 1927, last version in 1938) were largely inspired by his memories of Pécs. Surányi also studied in Pécs and many of his prose works, the first of them the novel Kantate (1918), are in connection with the city. Chapter XXIV is centered on modernist currents and path seeking between 1915–1925: Activism and Bauhaus. The members of the Circle of Artists of Pécs were such outstanding people as Farkas Molnár, Jenő Gábor and Andor Weininger. Nagy expands our knowledge remarkably, importing the latest research results of the exhibitions on the Hungarian Bauhaus. The volume is illustrated with many black and white images in the text, and 16 colour tables at the end of the book representing mainly major literary persons, documents and significant literary events. Bibliography, index and summary in English, German and Croatian help orientate the reader at the end of the book. Nagy describes the changes through his institution-centered point of view and summarizes the literary theories of various thinkers of nine centuries. He also calls attention to topics for further research in almost every chapter, for example the oeuvre of József Koller and István Szalágyi in Chapter XII or the activity of Miklós Surányi in Chapter XXII. He does not limit his scope to literature but provides an outlook to the artistic and architectural developments as well. He regards the city as a spiritual and mental space. However, there is still space for improvement in some minor matters. 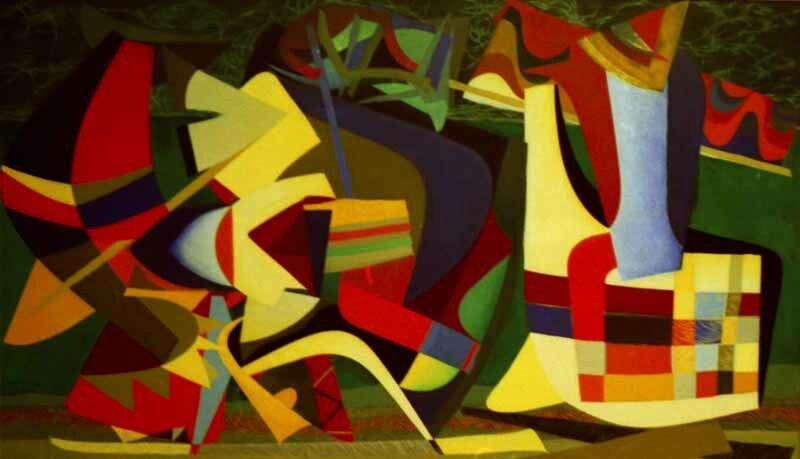 The style is narrative and understandable also for the general public, but on occasions Nagy is too simplistic, for example: “However,one may not be surprised, because the values of that era were different from those of later times.” (Ezen azonban nem kell csodálkoznunk, mert annak a kornak az értékrendje eltért a későbbitől. P.18.) or “Do not be surprised, therefore: we are in the 11thcentury, in the midst of an era of ascetic spirit” (Ne lepődjünk meg tehát: a 11. században vagyunk, egy aszketikus szellemű kor kellős közepén. P.18.) I have found only a few typist’s errors in the text. On one hand, I recommend the book for the residents of Pécs,whose relationship with the city will definitely change by reading it, possibly resulting in a more nuanced view. On the other hand, the book can offer important insights for all the ethnic and cultural groups connected to Pécs, as well as to those who study the history of these groups. We can only wish that Nagy continues his work presenting the literary life of Pécs from 1923 to the end of the 20th century. We have already been given a taste of this period in various chapters of the present book as well, for example he mentions the plays written for the 500th anniversary of the death of Janus in 1972, or literary historian Endre Angyal in relation to the Biedermeier of Pécs.